Come as close as possible to perfection with our OREO-Raspberry Cookie Balls recipe. 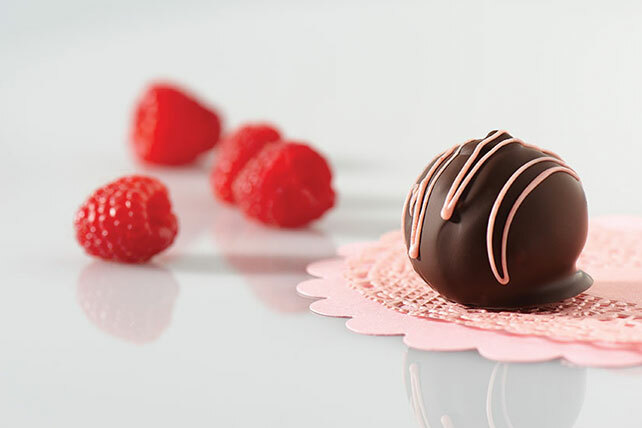 Our OREO-Raspberry Cookie Balls are dipped and drizzled in chocolate. Shape into 48 (1-inch) balls. Freeze 10 min. Meanwhile, mix white chocolate and food coloring until blended. Dip balls in semi-sweet chocolate, turning to evenly coat each ball; place on waxed paper-covered rimmed baking sheet. Drizzle with pink chocolate. Refrigerate 1 hour or until firm.